Fill in your details below and we will let you know within 24 hours if we can get Concordia: Gallia & Corsica Expansion to you with haste! 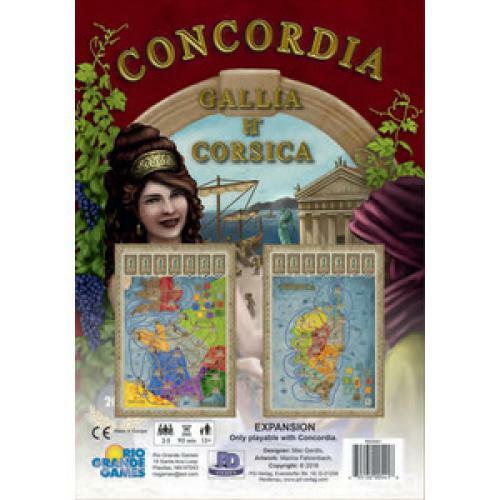 Concordia: Gallia and Corsica comes with two new maps to introduce new and challenging strategies to the game. The Gallia map focuses on Britannia and comes with special rules to allow land colonists to cross the English Channel, while the Corsica map features water routes that completely encircle the island. May be combined with Concordia: Salsa.